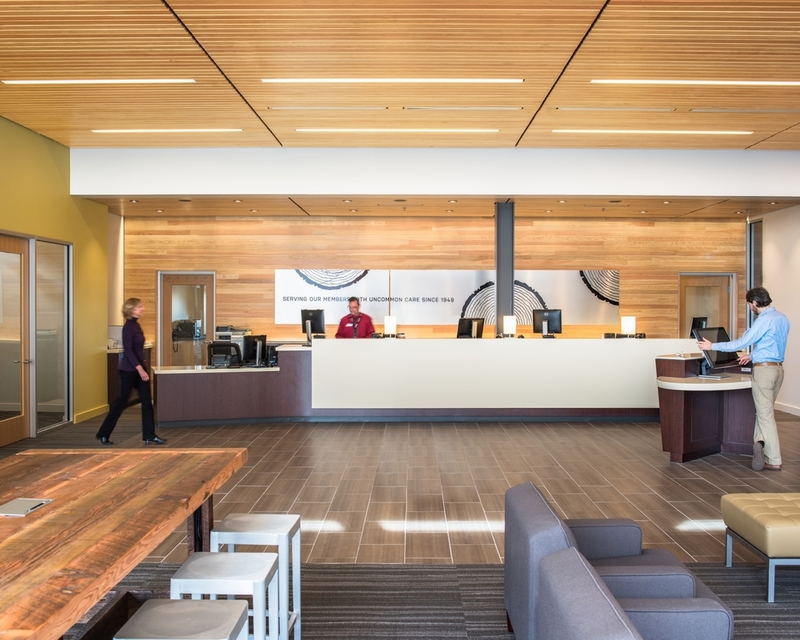 The Northwest Community Credit Union Support Center was previously housed in an old furniture warehouse on the outskirts of the city. This new facility brings their operations downtown to a brownfield redevelopment site at the city center--a part of the city that is currently undergoing a complete revitalization. This project plays an important role in connecting the adjacent Willamette River to the downtown core. In their old facility, the community-based values that prompted the founders to start the credit union by throwing $50 in a lunchbox in 1949 were not represented for their current employees. By taking on this new project, the leaders were able to show their staff and the current community how those values translate to their operations today. 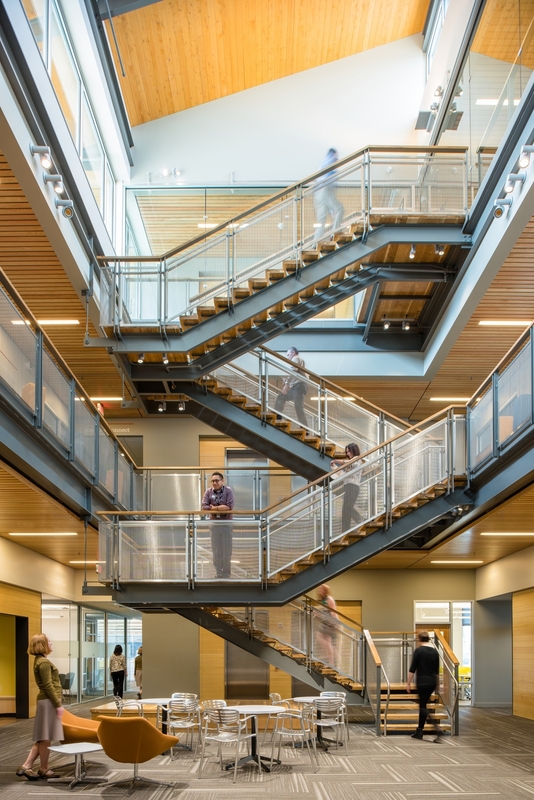 The central atrium they now enjoy creates a hub in the building to promote collaboration, community and activity. The many meeting rooms give options for large and small gatherings and places to retreat to for individual work. 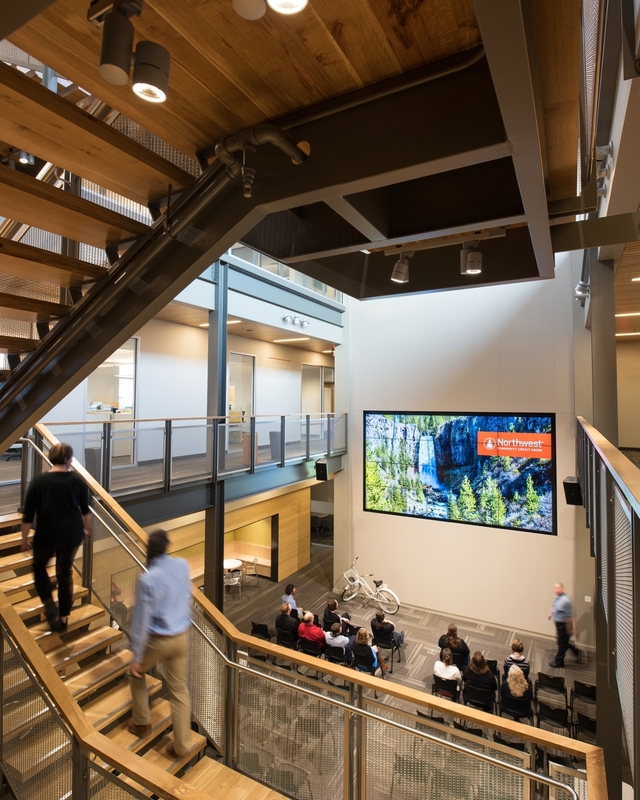 The tall windows in the open offices flood the workspaces with daylight and views to downtown and the river offering each department a connection to the outdoors. 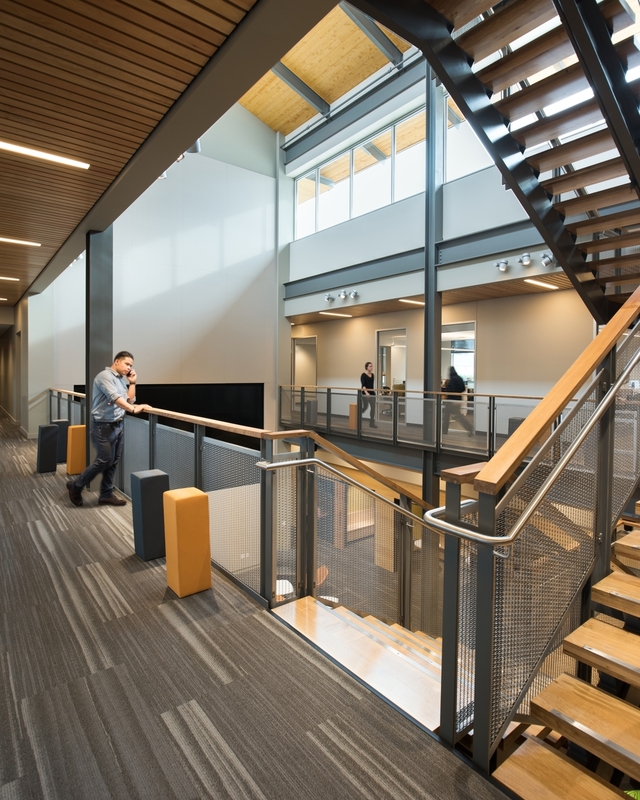 Secure bike parking, showers, and locker areas encourage employees to use alternate forms of transportation or enjoy the paths along the river for afternoon breaks. Finally, in the spirit of their founders, the Community Room on the first floor is available, free of charge, to anyone in need of a gathering space--even with a lunchbox.